You’re heading to Asia! Whether you’re going to vibrant Vietnam or terrific Thailand, you’re sure to have a great time seeing and eating everything in site. 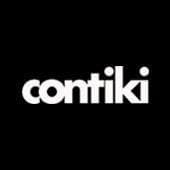 Contiki’s taken care of the itinerary for you of course, but when it comes to what to pack, you’re on your own. JUST KIDDING (obvs)! We’ve got your back with our handy packing list for 2 weeks in South East Asia. Remember, it’s going to be hot! Sarong or large scarf (many religious sites will ask you to cover your shoulders or knees so best to have one on hand). TIP: This list is based on doing washing once. Washing is quite cheap in Asia, but if you’d prefer not to, just double the amounts of underwear and clothes. Tinted moisturiser (up you how much makeup you bring ladies but the humidity won’t be a friend to foundation).